Raising awareness and understanding of hidden difficulties and mental health and celebrating neurodiversity. It's come to the time when I write my end of year blog. It really doesn't feel like two minutes since I wrote my end of year blog last year. This year has been a pretty hard year for me for a number of reasons and circumstances. I've also struggled a lot with my mental health, but I'm grateful for the support of the people who I've had in my life. I've never found making friends easy or had many of them for that matter either so those of you who have taken the time to listen to me, it means a lot to me - thank you. There can be a lot of comfort in not feeling like you're alone, the opposite are feelings I have known well - talking about I feel and about the things I find difficult has never been the easiest for me due to social/general anxiety. I've always worried if people will be understanding and supportive or if they will laugh, judge, simply not get it or if I will bother others. Also expressing my thoughts and emotions is difficult for me. Due to my anxiety/social anxiety and dyspraxia, day to day life and situations can be a challenge and I also can experience panic attacks and low mood. 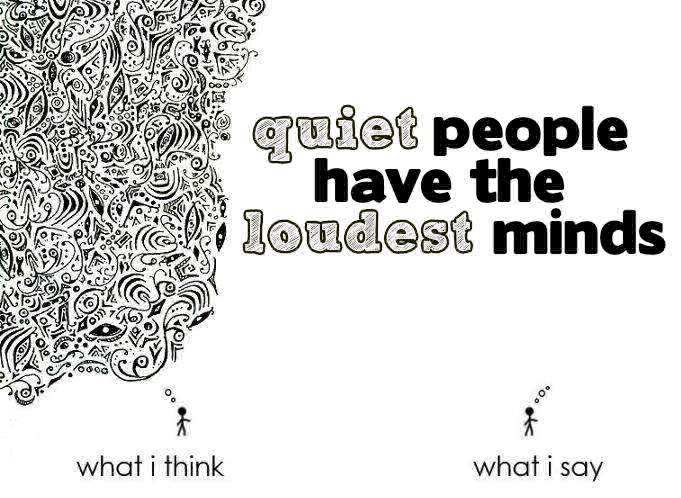 I’m also a big overthinker and have challenges with confidence and low self-esteem. It can take a while to get to know me and for me to feel comfortable, especially due to my anxiety and quietness. 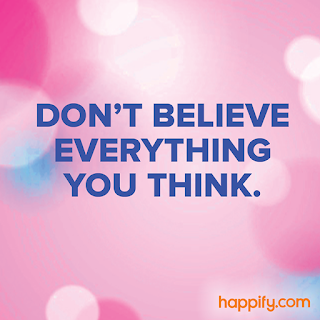 It can be so easy to think it's just you who finds these situations difficult or why you may feel down. I also struggle to find confidence in sharing my ideas and opinions due to my social anxiety, I can worry that I will offend people or that my ideas, stories or experiences aren't interesting and others will roll their eyes and think, "what is she on about?" There's been a lot of talk about mental health in the dyspraxia world this year which in my opinion is a long time coming, but I hope in future this is something which is developed more alongside the social difficulties people may face. I think it's really important that people aren't put into the same bubble and that people are known as individuals with their own unique circumstances so that there aren't stereotypes. Some people may have different challenging situations to me, or complete them in a different time frame, or may have had more of a support network - outside of close family and had more general support -than me. Understanding is also something which takes time and time to get to know people. various communities I’ve spoken to online. You have really opened my eyes. 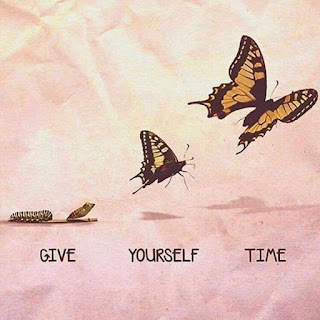 This year I've realised that things take time and that it's ok to be on your own journey and time frame. Also that I'm a lot stronger than I give myself credit for. Next year I hope to believe in myself more, build up my confidence and manage my anxiety/low mood. Thanks to Matt for all of his support and strength this year and a special thanks to my border collie Toby who is always happy to see me, appreciative of snuggles and for always wanting a toy to be thrown. I am very grateful for the kind words Mollie King has given me this year, they give me strength in difficult times. I hope this next year is a bit kinder. Hi everyone I hope you're well? I wanted to blog about something which I've been thinking about a lot recently and how a lot of things in life take time. It can be very easy when you find day to day life more challenging to find yourself getting frustrated with yourself and question why something which others may take for granted may take you longer. I've always been someone who needs to have things broken down, as someone who has struggled with a lot of anxiety and social anxiety over time, I need to break my fears and situations of things I find more difficult to build my confidence up. Another person close to me who is similar is my boyfriend Matt, recently he became Vice Chair of Dyspraxia Foundation a charity very close to our hearts. When I first met Matt he was studying for an Open University degree in ICT. I often received passing comments telling me he would, "never get there." As his degree was taking him a longer time, I became annoyed with the comments about how people could give up on someone so easily. 6 years on the charity have given him a chance, and he is valued, included and respected not just as the ICT guy but as Matt. Outside of his strengths and the comfort zones of ICT, Arsenal Football Club and pop music life still take him longer and more difficult. A man who finds social situations especially with groups, new people and trying new things anxiety-inducing and challenging. I'm grateful to the charity for taking Matt on board and look forward to his passion and the unique perspectives he can bring to the role. Like Matt, I know too well how it feels to struggle emotionally which hasn't been helped by bullying and negative attitudes and stigma. At primary school, it was often assumed I wasn't trying hard enough or was being lazy when it was taking longer than my peers to learn or process the information and copy from the board, write neatly or play games in the school playground due to dyspraxia. In social situations especially in groups, new people, or people I don't know well, people can often make comments like, "you're so quiet/weird/antisocial" instead of including me in their conversations when I've felt socially anxious which can be upsetting and affect my self esteem as having anxiety and being a huge worrier and overthinker can make you have thoughts such as they won't like me, they'll think I'm boring or annoying or my ideas and thoughts are embarrassing or rubbish. The world we live in can feel very fast paced and modern society can make you feel like you have to have achieved or done something by a certain time or age. For many people and for many different reasons e.g. mental health and/or disability these milestones can take a little longer to achieve. Learning to drive, finding your place in the world of work or studying, living independently, or simply going out and doing what you love and enjoy in life or day to day tasks can take a lot longer. Which can affect self-esteem and mood. Everyone works differently and has different life circumstances and it can be tricky sometimes to get people who work or live at a faster pace than you to understand this. Life hasn't been too easy for me lately, but I just want to thank you for standing by me and this blog. Just because someone takes longer to do something doesn't mean they don't want to be able to do it, they aren't being lazy. Their journey just might be in a different way down a different path. If anything it can make someone a determined, persevering person. It can also make them have empathy and understanding for others and their journeys in life. Don't give up on someone and keep believing in them when they struggle to. But simply listening can mean a lot. Keep going, you're stronger than you think. Hi everyone, I hope you’re ok? This week is Dyspraxia Awareness week it is Wednesday it is also World Mental Health Day. The Dyspraxia Foundation has recently released a press report of the emotional needs of people with dyspraxia finding 55% of dyspraxic people feel anxious all of the time. It also mentions high levels of anticipatory anxiety. Time To Change have recently launched a campaign on their website, talking about if a mate is acting differently, to ask twice as people if they're ok as I know how easy to say you're feeling fine when things may be more difficult. It's important to remember not to be stereotypical and get to know someone as an individual as anxiety/mental health issues will be different for everyone. Also from a dyspraxic perspective, not every dyspraxic may have mental health difficulties. 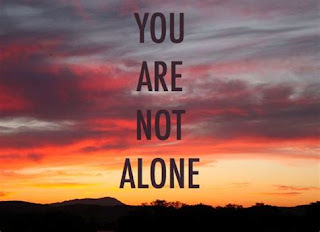 It’s also important to remember “life” may be different for everyone, people live in different areas of the country, some may live in towns some cities and different family backgrounds and circumstances and maybe a few sensitive life experiences which for me don’t focus in this blog but my anxieties generally. Anticipatory anxiety is the feelings, thoughts and sometimes dread before something is going to happen. This could be; a social situation, a holiday, a day at work or uni, or an appointment- the list is very much endless. Anticipatory anxiety is your mind racing with all of the “what if’s,” and the brain can conjure up an endless list of possibilities or scenarios of what might happen, and more often than not think of the worst possible scenario and catastrophize it. This can lead to physical symptoms being triggered and even lead to panic attacks. This can be exhausting enhance low mood. One (of many) for me is before social situations: as a quiet/shy person who experiences social anxiety, initiating and joining in conversations sharing ideas, or being in situations where I may be the centre of attention such as 1:1 meeting. I worry people won’t want to meet me, find me boring, that they won’t enjoy my company or they will assume I’m rude. I can self-doubt myself and my abilities probably far too much. What I’ve found with anticipatory anxiety is that it’s not just something which might happen the night or day before but can happen days or even weeks beforehand. Although, from personal experience, the night/morning before can be really hard. I know how easy it is to get into that vicious circle myself and the frustration of when it can feel anxiety has got to you or affected your plans. I’ve personally found anticipatory anxiety can be worse if it is new and unknown to you or has a new element or unpredictability. Check in with your friends, although talking can be difficult for many a listening ear and knowing you have people in your corner may not take away the struggles but can help someone not feel alone. I also think it’s important no matter what difficulties someone has that they still feel included or invited to things or included in the conversation. That inclusion is something which is really important and can help build someone’s self-esteem and confidence in themselves. I also think it’s important to take a little bit of time especially if someone is shy/quieter or has social anxiety is to get to know them as an individual and how they may be affected, but also as a person. Always be kind, you never know what fully is going on someone’s life. Life hasn't been too easy for me recently so thank you to those who have been there for me. 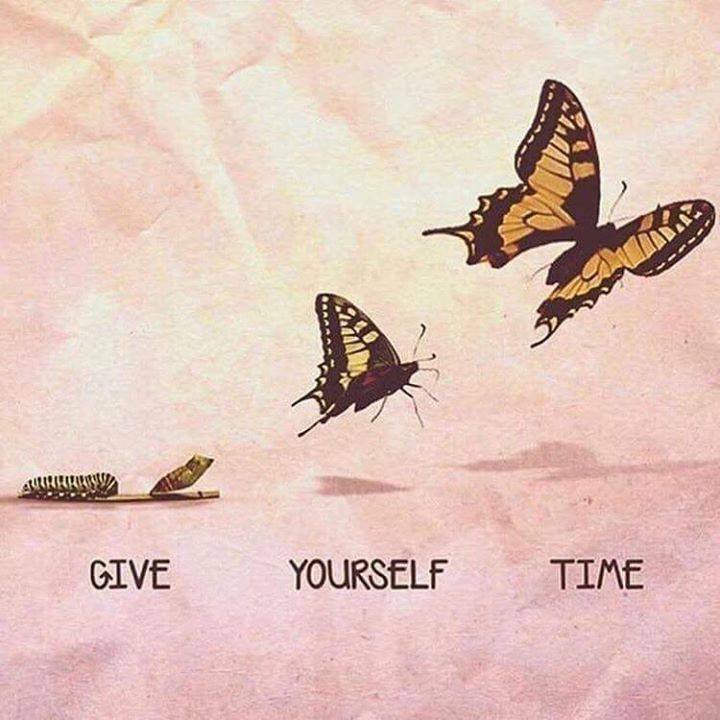 Keep going, you’re stronger than you think! 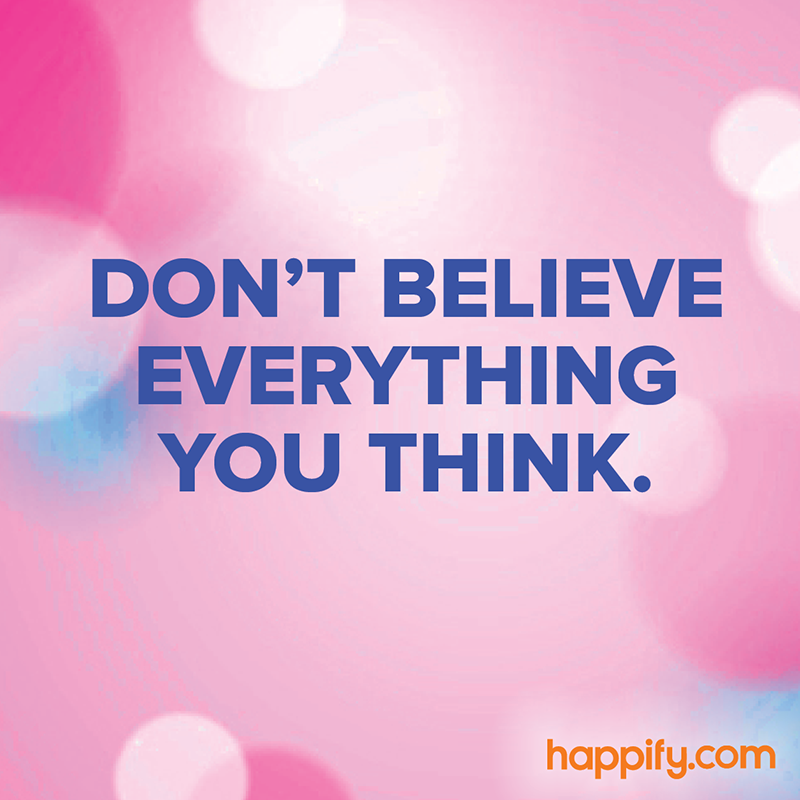 I was given some words of advice from my therapist today: "don't believe everything you think." Hello everyone, long time no speak, I hope you’re all well? the value of inclusion. Before I begin, I think it’s important to remember that this is my personal experiences, and interests- other people may experience things differently. Just because a person finds something difficult or more challenging doesn’t mean they don’t want to feel included or that they belong. 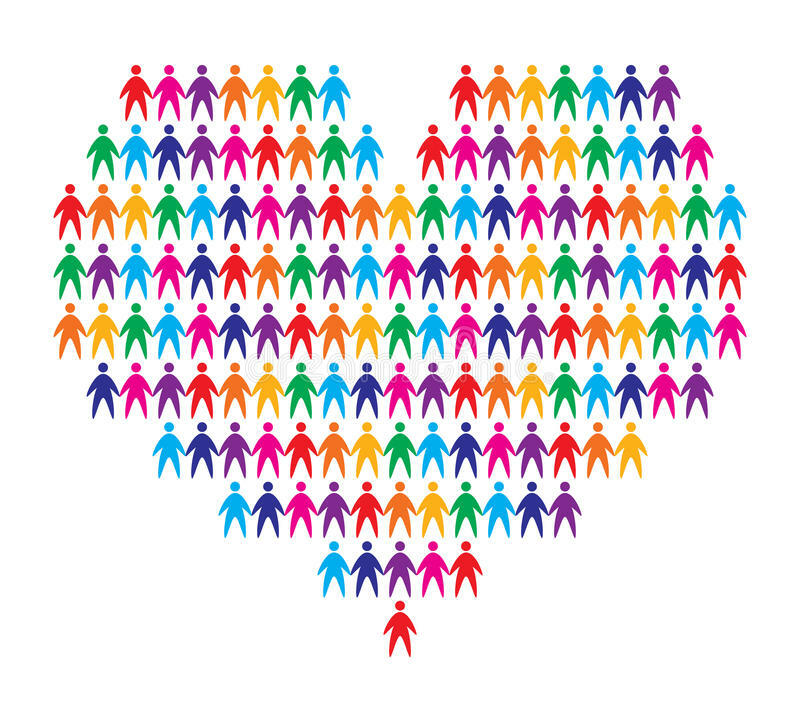 Being inclusive is giving someone a bit of your time, patience and empathy. Being inclusive isn’t about fitting people into boxes, it’s about letting them find their feet in their own way - at their own speed. Not putting pressure on someone can give have positive results. When people think of issues such as anxiety, mental health, confidence and/or neurodiversity there is often a focus on their impact on school/university or work. For this blog, I wanted to touch on the impact of more everyday issues such as; travelling, social situations and leisure activities. From a young age, I’ve always struggled to find the confidence to go and to participate in activities and everyday things many people take for granted - these situations can be anxiety or even panic-inducing. Personally, these can include; stepping out of my comfort zone, trying new things, travelling, anything involving crowds or social situations. Due to my anxiety, mild depression and self-esteem issues and dyspraxia I find these difficult, also situations in everyday life such as; going shopping, days out, going on holiday or having meals with family can be challenging. Anxiety can make you want to avoid doing things like this and it can be a vicious circle and can get you down. A month ago, I attended Dyspraxia Foundation conference in London where there was a keynote speech from Anxiety UK, I also attended the youth group workshops. The thought of being in a group of people and people I didn’t know, was quite anxiety-inducing. My friend Alice, who is a youth worker was running the icebreaker sessions. She is an inclusive person and uses her own experiences of mental health and dyspraxia in a positive way. Straight away we were met with no pressure to join in or participate and to do what we felt comfortable with and people wouldn’t think any less of us for that. Due to that many people took part. Thank you to both charities for all being understanding and for an inclusive conference. As an avid pop music fan growing up listening to (in my opinion) feel good, uplifting music, helps to lift my mood when I’m feeling low or down. I’ve been lucky to have some lovely handwritten messages and hugs from Mollie, her words of kindness and empathetic nature really do make a huge difference to me. Travel, crowds, the concerts themselves and finding the confidence to let go, and enjoy myself due to anxiety and panic attacks can be difficult to explain. I would love to find the confidence to join in with things I love more and whose music has helped me. I value friendship a lot and as someone who has struggled to make them, I appreciate it a lot. But again anxiety and social anxiety can make it hard to meet up with friends, keep up with what’s happening or participate and in group situations especially if it involves travel or meeting new people. I’ve always been quite shy and quiet and it can take quite a while to get to know me and feel comfortable with people. I worry about how I come across or if I might say the wrong thing. I’ve recently started therapy and hopefully, I can learn to be calmer, happier and face my fears but it’s going to take time. As someone who finds it quite difficult to ask for help, it’s important that there’s understanding how difficult it is to speak up and ask for help when you’re struggling especially with mental health. But it's something I wanted to raise awareness of in this blog. I like to hope my experiences have made me open-minded, non-judgmental and someone who will always have a listening ear. One of the best things you can do listen, help someone to believe in themselves and give someone a chance. From a young age, I’ve always struggled to find the confidence to participate in activities and everyday things many people take for granted - these situations can be anxiety or even panic-inducing. Personally, these can include; stepping out of my comfort zone, trying new things, travelling, anything involving crowds or social situations. Due to my anxiety, mild depression and self-esteem issues I find these difficult, also situations in everyday life such as; going shopping, days out, going on holiday or having meals with family can be challenging. Hi everyone, I hope you’re well? I wanted to blog about the value of sensitivity when discussing mental health issues, when someone may disclose they have a difficulty or in general when someone may be not finding life not that easy. 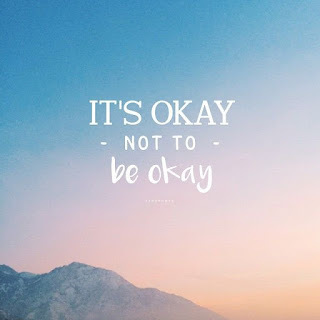 Although this blog focuses on Mental Health Awareness Week sensitivity is important when discussing any kind of difficulty, disability or condition and not just relevant to mental health. Many people may have co-occurring mental health problems alongside a disability or difficulty, such as: dyspraxia. I’ve never been someone who finds it easy to talk about myself, how I feel or the struggles I may be having at a particular moment in time. As someone who has social anxiety/anxiety, my fear of judgment has always been pretty high. A fear of what if someone laughs at me, dismisses me or even worse tells me off or shouts at me for finding life a bit more challenging than they do. I don’t think anyone can fully understand what it’s like to have experiences of mental health unless you have faced challenges yourself but we can all show some empathy. From an outsider looking in perspective when someone may be facing issues invisible to the eye, be feeling overwhelmed and unfocused with anxiety or withdrawn from the low mood and that they are simply being lazy or not trying hard enough. The world we live in is very fast paced and very go, go, go. So it can be difficult for many people to understand why other people may simply can’t just do something, it took them a longer period of time or why they may get overwhelmed or low with tasks many people simply take for granted. When you add other difficulties and disabilities to the mix, it adds another layer to the equation. There are also so many different perspectives on mental health, no two experiences are the same. 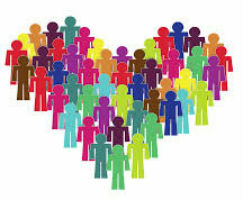 Charities such as: Time To Change and Mind do a lot of work to help to reduce stigma. But, many people who struggle with their mental health also have difficulties with their self-esteem and confidence. There’s a good chance that we will already be hard on ourselves, or maybe be more sensitive. So sensitivity or a listening ear can mean a lot to someone who is going through a difficult patch. Shouting or insensitive comments or looks don’t make someone feel better about themselves, in fact, it can make things more difficult. From my own personal experiences due to the invisibility factor, there’s also a fear of people thinking you’re lazy or not trying hard enough. I know well how situations, places and things people take for granted are far from easy to me. Situations which many people wouldn’t think twice about such as transport, getting my hair cut, going to the dentist or going to a concert to name a few. Can be a lot more anxiety and panic-inducing for me and then is the low mood from depression which can come from life too. I know too well how words can make you feel when you're already finding things difficult, but how the sensitivity of others and some understanding can mean a lot too. I would like to thank people for standing by me recently when life has been a bit tough, it means more than you'll ever know. Sensitivity can help someone believe in themselves when they struggle to and open up and talk when it might be hard. On Sunday my dad and my boyfriend Matt will be running Manchester 10k in aid of Mind and Dyspraxia Foundation to raise awareness. I don't like asking people for money, as I know money is tight at the moment, but every penny helps to make a difference. I'm sorry for the delay in posting since my last blog it's been a bit of a difficult few months for me- this blog is quite from the heart and took courage to write, so please be kind whilst reading it. I wanted to write this blog about the value of finding out more, especially when someone has social anxiety, finds it harder to express themselves or talk about how they feel. Checking in with a friend or loved one and asking, "how are you?" or "how are things?" For a lot of people talking about how they feel can be challenging: maybe due to fear of rejection/judgement, finding it difficult to explain or finding the right words. I think it's about finding a balance however, so not to overwhelm someone by asking too many questions, personal questions, or making them feel under pressure. As someone who has had fear of rejection from a young age and has never been an outspoken person, especially in group situations due to social anxiety/anxiety, I've always struggled to talk about myself and how I feel. In social situations, when it comes to my turn, finding the confidence for me to share my ideas or speak up or stand up in front of a group, can anxiety inducing and is a lot more challenging. It doesn't mean I don't have an opinion/ideas: it's just harder for me and it takes time to feel comfortable and relaxed with people. One of the best things you can do to be there for someone who has a mental illness, condition or difficulty is to firstly listen, then take a little time find out more. Read blogs, watch Youtube videos, read information on Charity websites. By educating yourself you help to gain awareness not just for someone you care about but also other people. Whilst there is more mental health awareness around in current times, awareness and understanding of dyspraxia are still limited. It's more than just simply being a bit clumsy. It's important to remember everyone has different challenges and deals with things differently. Just because your friend's friend /next door neighbour has difficulties with their mental health or is dyspraxic doesn't mean they will be the same as me. People can also find different situations more challenging than others. My anxiety can take various forms: generalised, health-related and social. I can also experience panic attacks anxiety-based depression. Some people like to use an "outsider looking in" approach to finding out more about someone, but for people who may have anxiety/mh challenges, this may be more tricky, as is the case also for any invisible difficulty. Sometimes you have to look beneath the surface. You cannot tell fully, no matter what someone puts on Social Media, whether they are having a good/bad day, so always try and show some kindness. Even though I've been blogging for a while now there are still things people may not know about me and chapters of my story not told. But most importantly find out more to get to know who someone is as a person, to get to know their heart and soul. What floats their boat and and what their interests and passions are. Putting us under pressure to open up or do things, however, doesn't help, we need to be given time and empathy. Be in someone's corner, by showing your support, whilst it doesn't take away their challenges, it can mean that they aren't facing them alone. For many people, confidence and self-esteem are quite big issues which can go alongside other difficulties. I know from my own personal lived experiences in my day to day life, words of support can mean a lot. Our lives are like a book but there may be chapters of the story which are untold. By taking the time to find out more you can help someone unlock their pages and help to write the future. Rosie, blogging, campaigning and raising awareness of hidden differences, difficulties and Mental Health such as: dyspraxia, anxiety /social anxiety and dyslexia.Hoping to help raise the profile of dyspraxia/mental health and promoting positive mental health, self-esteem and confidence by sharing my own experiences of day to day life being dyspraxic, having anxiety/social anxiety and dyslexia. Hopefully helping others and making a difference along the way. Inspired by Mollie King and always thinking outside of the box. Dyslexia Awareness week 2013 "more than words"
© 2012-2016 Thinking Outside Of The Box // Rosie E. Picture Window theme. Theme images by blue_baron. Powered by Blogger.